Two-thirds of millennials report changing loyalty to a brand because of a bad customer service experience—an omnichannel contact center can change that. 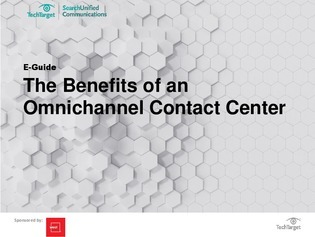 In this guide, discover the value an omnichannel contact center can bring to your organization, and explore the key differences between a multichannel and omnichannel customer service strategy. To help your organization prevent customer turnover, read this guide and uncover how omnichannel can help your organization generate better data, gain clearer insights, and improve CX.